P9374 was built in March 1940 and was assigned to No 92 Squadron at RAF Duxford. 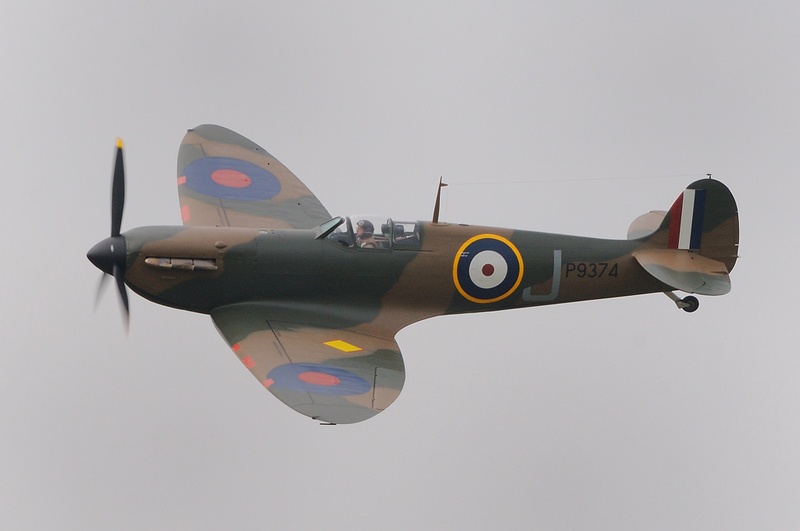 The aircraft became the personal mount of Flying Officer Peter Cazenove and was regularly flown by him. 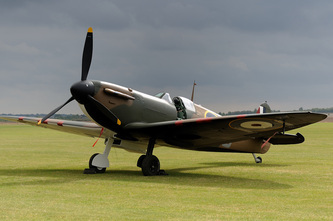 However, it was on 23 May 1940 when the Battle Of France was raging that the Spitfire went into action for the first time. P9374 was being flown by Pilot Office Desmond Wiliamson when a dogfight ensued between 92 Squadron and Messerschmitt Bf110's. Williamson obtained hits on three 110's, claiming one as destroyed as he saw it crash and two possibles. 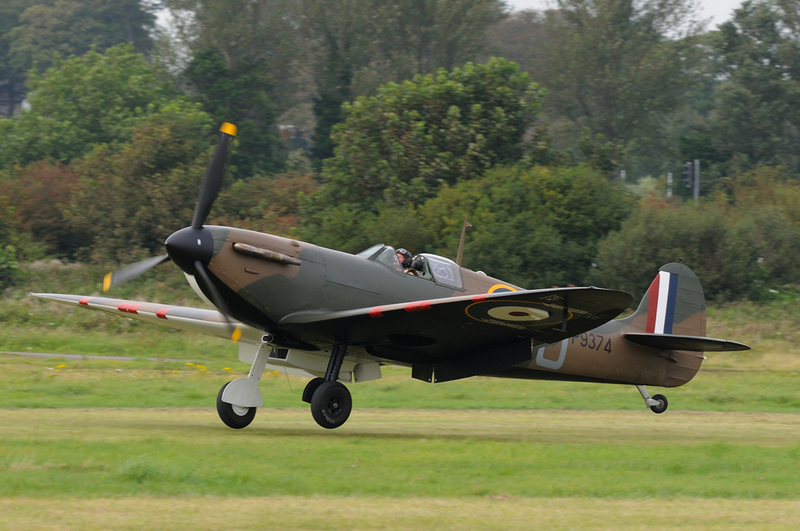 P9374 was in action again on 24 May 1940 this time being flown by Cazenove. The Squadron led by Acting Squadron Leader Bob Tuck, attacked Dornier 17-Zs of I./KG 77. 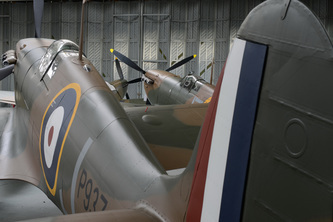 During this attack P9374 was hit by return fire from the bomber's gunners. It appears that the Spitfire's engine may have been hit and Casenove knew he could not make it back to England. Below him was a vast expanse of beach near Calais and it was here that he put P9374 down. Casenove subsequently went into captivity and became a prisoner of war for the war's duration. P9374 was discovered on the beach again in 1980 and was subsequently recovered. The Spitfire was bought by Thomas Kaplin and Simon Marsh and over the years has been restored to flying condition. 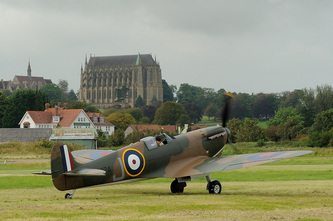 The aircraft made her first post restoration flight on 30 August 2011. 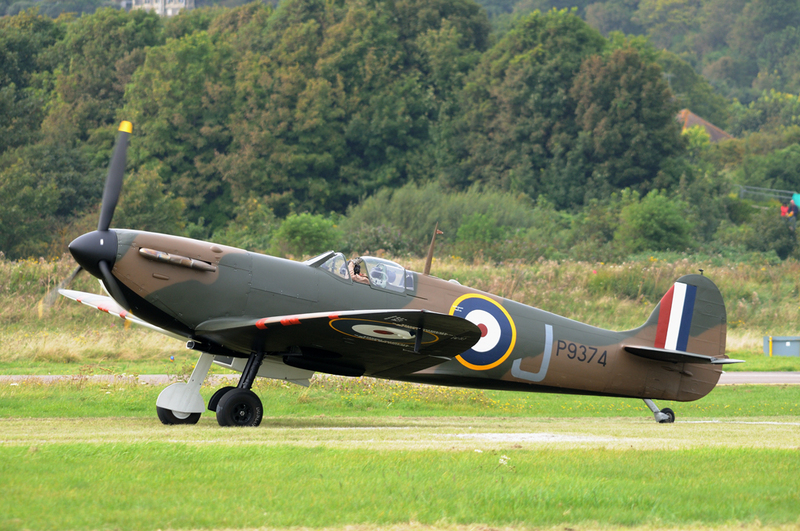 P9374 then made appearances on the UK's airshow circuit, before in July 2015 P9374 being sold at auction by Christies for £2.7 million, with the proceeds going to the RAF Benevolent Fund and world wildlife conservation charity Panthera. The aircraft and has since moved to its new owner in Europe, quite a loss to the UK's airshow scene.